Conditions like tennis elbow, shoulder tendinopathies or back pain can be troublesome and long lasting. With Shockwave patients usually feel a reduction in pain after the very first session. Shockwave therapy, alongside an exercise programme, will ensure a quicker recovery from injury and has produced excellent clinical results for muscle pain in the hip, knee, shoulder or neck. Each treatment session takes 5 or 10 minutes and most conditions require 3 to 5 sessions, depending on the tissue response. The shockwaves produce high energy sound waves into painful areas of the body such as tendons, ligaments, muscles and bone. 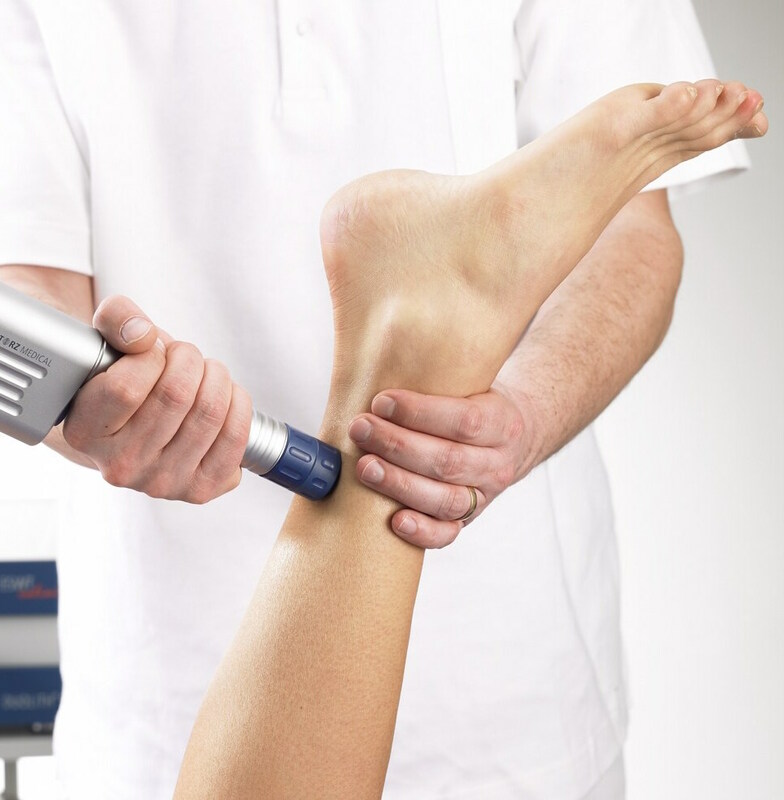 Shockwave treatment can be offered at Bury Physio as part of normal treatment or as part of a package with a gym programme. Research has found that using shockwave in conjunction with a supervised rehabilitation gym programme can produce the best outcomes.